24 July 1806 43rd foot purchased commission in Army as ensign or Captain. 1813 Samuel is very gay here: Spends 1,000 pounds per year on dress. Mistaken as Field Marshall when dining as Soult's on the night of his capture, from richness of his dress. (Levinge, op cit pp 205, 206) Also played part of a woman in a play. Below is a map which comes from a map drawn by the Surveyor Generals Office in 1865. The very first name in the block of streets below is Hobkirk Street, undoubtedly named after Samuel Hobkirk and most of the other streets were also named after military figures from the same war Samuel participated in. The street is erroneously labeled Hopkirk Street today. 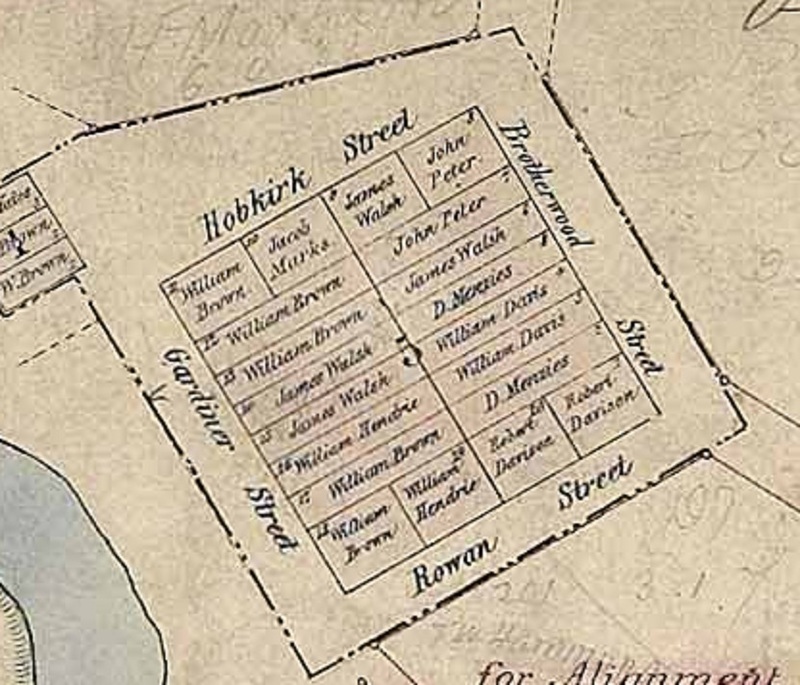 Here is some additional information from Geoff: “Townsends 1849 map clearly lists Hobkirk Street in North Wogga Wogga (original spelling), in New South Wales, Australia. 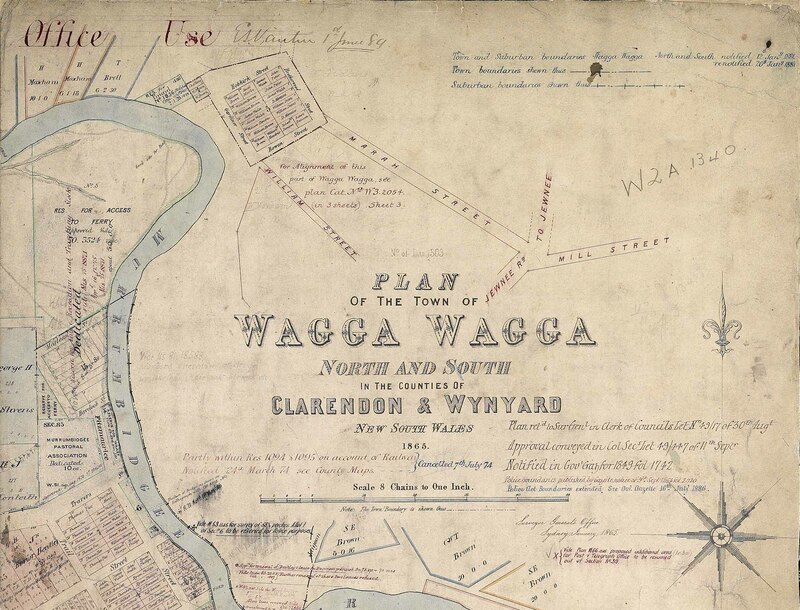 I think the best you could say is that the streets in South Wogga Wogga (same map) were named after veterans of the Peninsular and Waterloo Wars by Major Thomas Mitchell, and it is therefore likely that the street names in North Wogga Wogga have the same origin.” Our thanks goes to Geoff BURCH for supplying this wonderful map and as much other information as was available. Below is a copy of his military record.